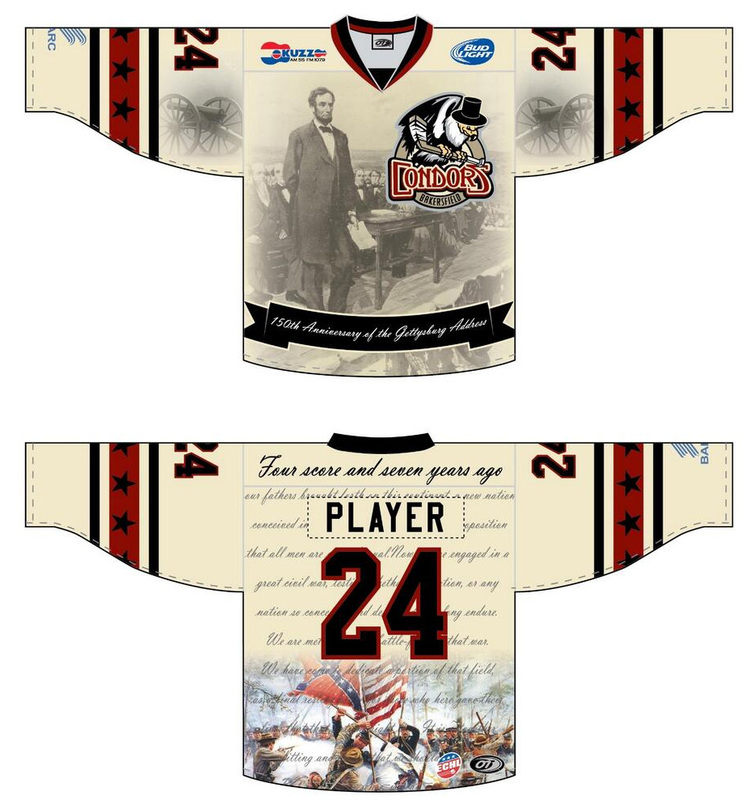 On November 10 the Bakersfield Condors – a minor league Hockey team out of California – will commemorate the 150th anniversary of Lincoln’s Gettysburg Address by wearing the jersey pictured below. This is pretty cool. I hope they will sell these as souvenirs. Where can I get one! ?